In my latest installment in my Photographer Focus series, I talk to Stephanie Johnson Photography. 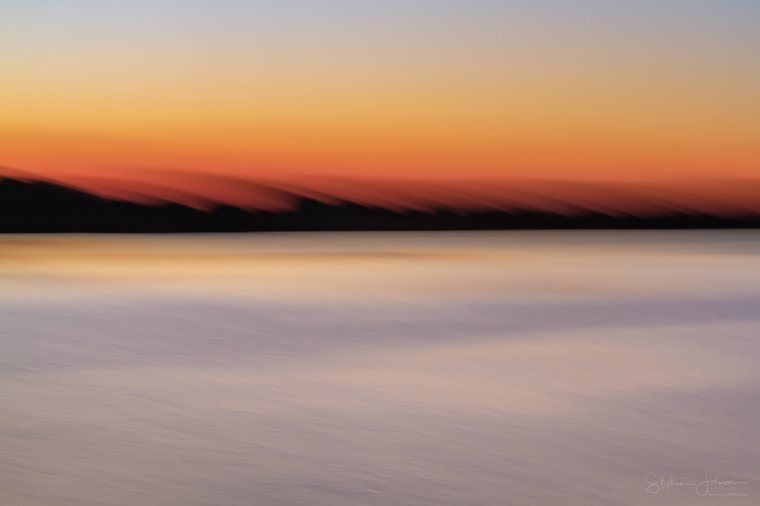 An Iowa based Landscape photographer. Her aim, to Re-imagine The Landscape using ICM (intentional camera movement) techniques and Abstract styles of shooting. Stephanie Johnson, owner of Stephanie Johnson Photography was actually a student/client of mine several years ago. Before going on to launch Stephanie Johnson Photography as a business, Stephanie attended a two-day Landscape Photography Workshop with me in the south west of Ireland. Since that time, Stephanie has further progressed her photography skills and has developed a unique style. Stephanie Johnson Photography certainly has a refreshing outlook on life and photography. Read on to find out more about Stephanie and her photography vision. Who is Stephanie Johnson – Tell us about yourself? 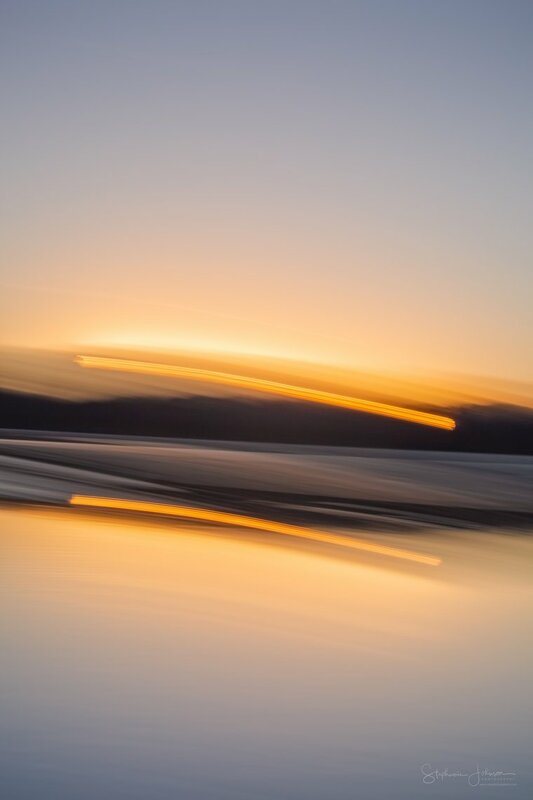 I’m an abstract ICM (intentional camera movement) and landscape photographer. I left the business world about 15 months ago to build a more creative life for myself. I came to the realization that if I didn’t take the chance to pursue my creative desires more passionately, I’d be living a less fulfilling life. So, I stepped out onto the path of following my inner voice. And I haven’t looked back! When did your photography journey begin? I first became interested in landscape photography in 1996. 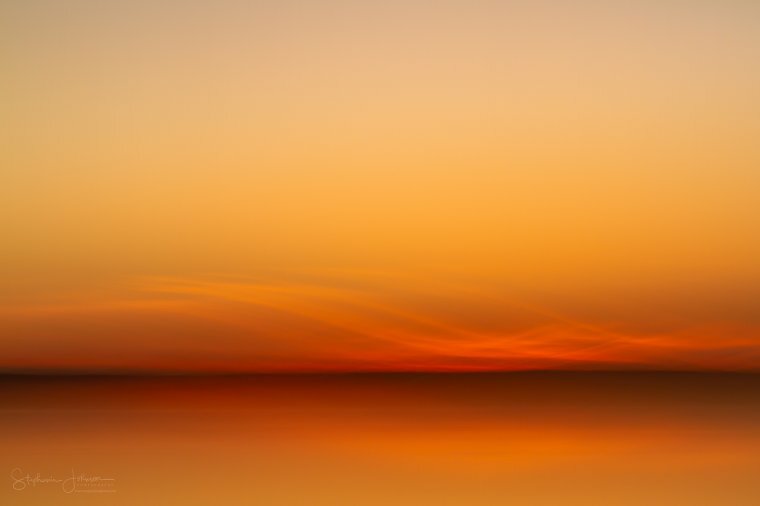 Some of my first favorite experiences were shooting sunsets over the East China Sea when I lived in Okinawa, Japan. Soon after, I moved to Southern California, where Joshua Tree National Park became my playground. And from there I further immersed myself in the world of landscape photography. These early experiences really set the stage for what would later become the passion work I do now. The first ‘real’ camera I owned was a Canon EOS A2E 35mm film SLR. This is the camera I learned to shoot within Okinawa and California. I made the switch to digital (a Canon Rebel XT) in 2005. But interestingly enough, I only did so in order to photograph my daughter playing various sports during her school years. I did not do much landscape work at that time. I upgraded to a Canon 7D in 2012 while living in Kansas City. And there I learned to enjoy shooting scenic skylines and cityscapes. What camera are you shooting with now? After traveling a few times to shoot the magnificent landscapes of Ireland with the 7D in 2015-2016, and as my passion began to really move me in a new direction with my life, I decided it was again time to upgrade to the full frame Canon 5D Mark III in late 2016. I still have and frequently use the 7D, though. As well as an advanced compact, the Canon G7X Mark II. These three cameras cover all my shooting needs. And I generally always go out with all three at hand. And all my lenses are Canon f/4L series lenses. I’ve had a longstanding relationship with Canon, I guess you could say. What type of imagery do you love to shoot/produce? I consider myself first and foremost a landscape photographer. Landscapes are what I love to shoot. It is essential for me to spend time out in the natural world. My energy comes from connecting to nature and landscapes in an intimate way. This need to be immersed in nature actually led me to a new way of seeing landscapes. 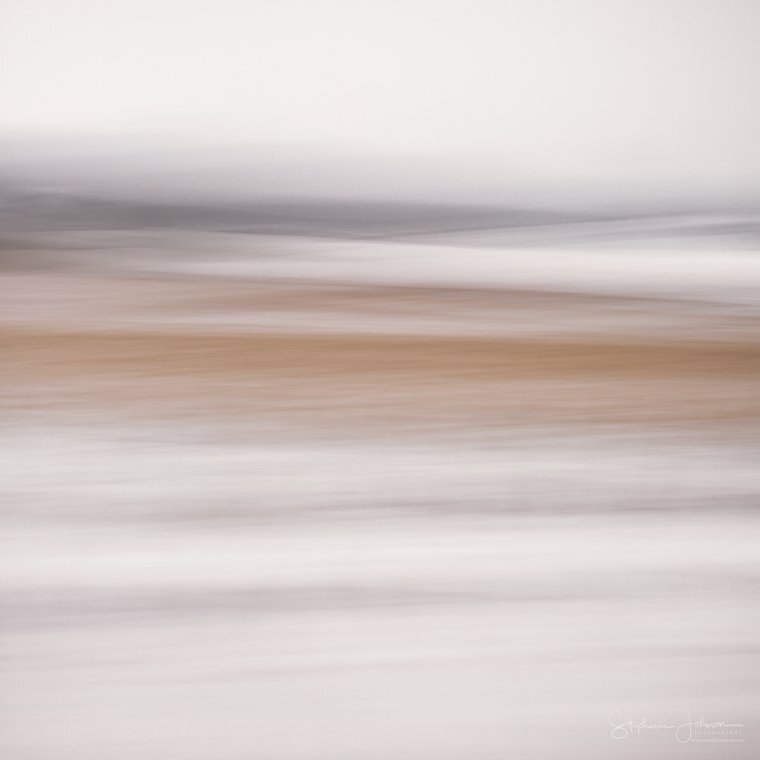 As a result, I have been primarily focused on shooting abstract ICM landscapes for the past 15 months or so. I still love to shoot traditional landscape images. 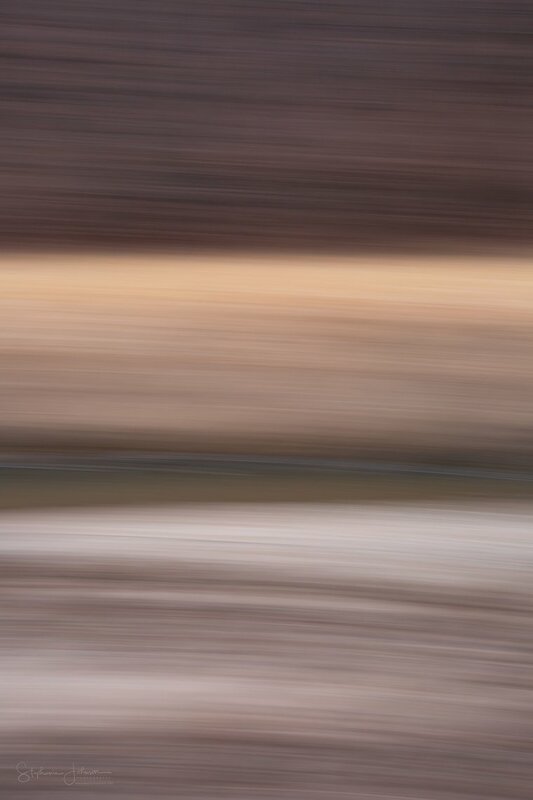 But abstract ICM landscapes are what I have become known for. 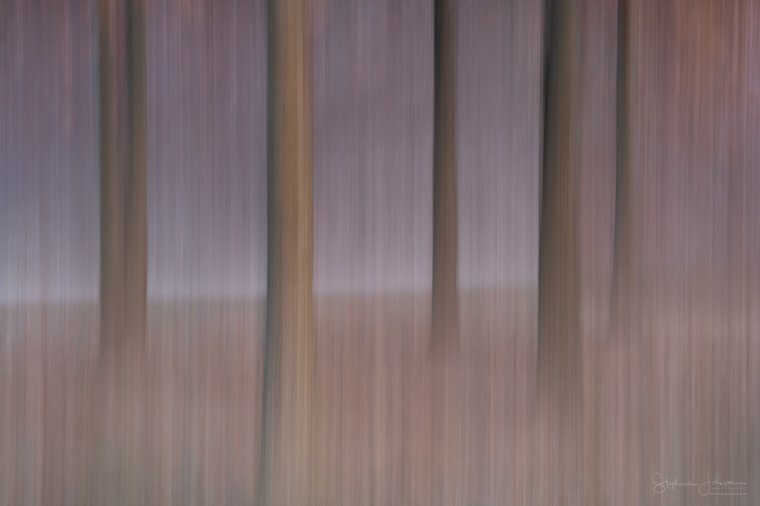 And I developed a somewhat recognizable style apart from what a lot of other ICM photographers are doing. 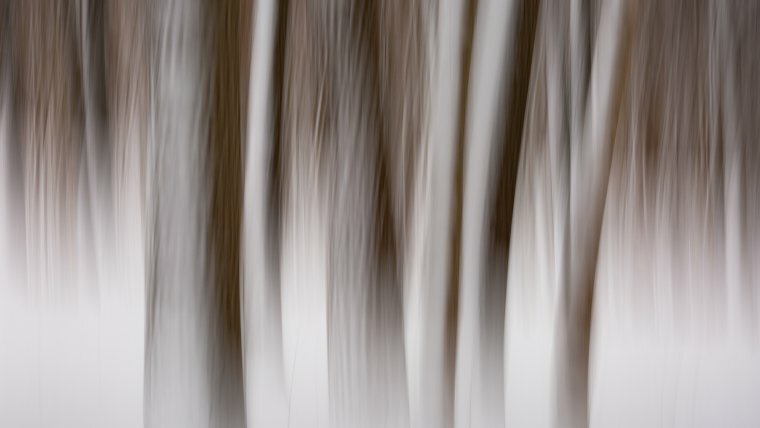 My ICM work is all done in-camera. Using various types of movements, speeds of movement, and settings to create the effects seen in the images. Do you have a favorite piece of kit – what is the one item that Stephanie Johnson Photography could not do without? I have two favorites, actually. The first is my Canon f/4L 70-200mm lens. It has been permanently attached as my go-to lens on either the 5D Mark III or the 7D for doing my abstract ICM work. Traditionally, most consider wider lenses best suited for landscape work. 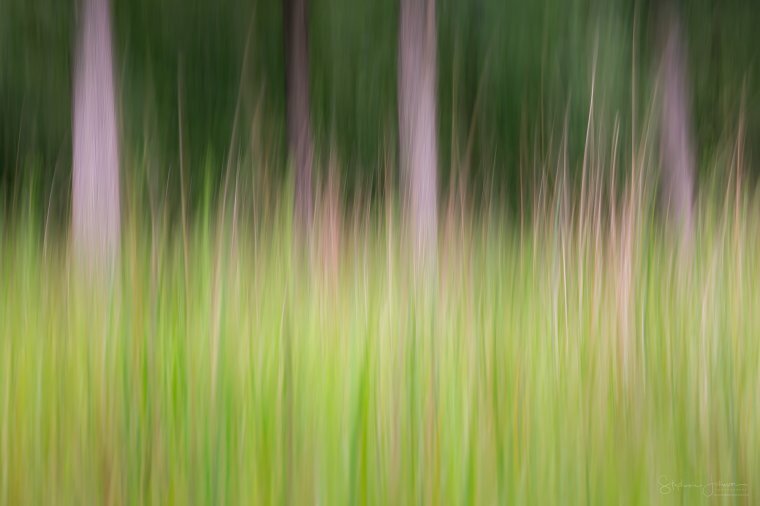 But for the abstract ICM work I do, this lens better enables me to achieve the results I’m going for with the images I create. The second is, believe it or not, the advanced compact G7X Mark II. It offers most of the features of my DSLRs. Shooting in manual and RAW, and it shoots at 20MP, which is actually more than the Canon 7D. So, it is very handy to carry with me everywhere I go, especially when carrying the larger DSLRs might not be ideal. So, I never leave home without it. I consider the official start of my photography business as 2016 when I realized the passion I had for it was more than just a hobby, it was what I wanted to do with my life. But, I did at the time continue to work a regular job while I continued to learn, and grow, and evolve my personal vision. November 2017 is when I stepped out on my own and began devoting my time and energies full time toward building a creative life. Currently, I feel I’m in the best place I’ve ever been with my photography, with my creativity, and with my business. Momentum is on my side these days, and I’m very positive about the forward progress I am making. I have a lot of ideas flowing for how I want my creative work to influence and impact the world, as well as for where I want to go with it in 2019. Biggest challenges faced so far? The biggest challenges for me have been more internal than anything else, I would say. Sure, there are always the typical challenges with moving a photography career or business forward. Because everyone wants to be a photographer these days. And it is a very highly competitive environment for anyone choosing to do it. My internal challenges have been about learning to think and see beyond fear and doubt and limitations. As well as to have faith in the knowledge that I am on the right path. That I have something different to offer and that the work I do makes a difference. I don’t measure success in monetary terms. Success for me is about having an impact and making a difference. How do you see your photography journey and Stephanie Johnson Photography as a business progressing? I envision my photography journey progressing to become something that is about so much more than just my own journey and my own work if that makes sense. My vision is to start a movement and to build a community of like-minded landscape and nature photographers who “see” the world differently. I am working very diligently to create and build a global project that will be mutually beneficial and meaningful for all who are involved in the project. Any projects that Stephanie Johnson Photography is currently working on? Landscapes Reimagined ( https://www.landscapesreimagined.com ) is the global project near and dear to my heart. And it was borne out of my own personal desire to see landscapes and nature differently. The world, and especially social media is saturated with grand-scale images from so many of the iconic locations around the world. I want to be different. I don’t want to shoot what everyone else shoots. And, I want people to realize there is beauty right in their own backyard if they will just take the time to think about it differently and to see it. So, this project is about seeing the beauty in new ways. About capturing the essence of the natural world through less traditional methods, and about creating a new path forward in landscape photography, rather than following in the thousands of footsteps that lead to all the same places around the globe. All of this is with the goal of also bringing awareness to the fact that the natural world needs more careful attention to conservation and preservation. We, as photographers, should be more mindful about caring for the environment, and we really can use our cameras to speak for a different way of seeing the natural world. 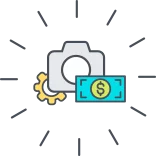 Part of the path forward for the Landscapes Reimagined project is also the development of a charitable fund/organization, Cameras for a Cause. This will be used to support other environmental charities, and at some point will be a platform for photographers to actually do charitable environmental work around the globe. Any advice or tips that you can give to others looking to pursue photography as a career? My biggest piece of advice for anyone looking to pursue photography as a career is really to spend a good bit of time immersed in their own work and their own creativity in order to find the true vision for what they want their work, their career, their photography, and their art to represent and express to the world. In today’s extremely competitive landscape photography environment, I feel it’s really important to stand apart from all the noise. By having something new to say. By having a recognizably unique vision. And by creating work that has a different kind of impact. Where can people follow Stephanie Johnson Photography? My personal website is at www.stephjohnphoto.com. And I am identified as @StephJohnPhoto on Facebook, Instagram, Flickr, and Twitter.